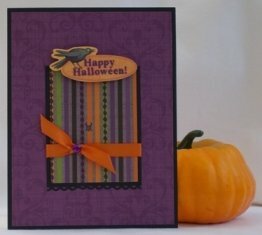 When making your own Halloween cards, accent your handmade card ideas with buttons, candy corn or ghosts for unique Halloween cards and cute designs. Homemade Halloween card ideas can be inspired by a button or sticker and in this case, I got the idea for this Halloween card craft from a candy corn button I purchased on sale. I happened to find pattern paper that matched the candy corn so wanted to incorporate both into my card. 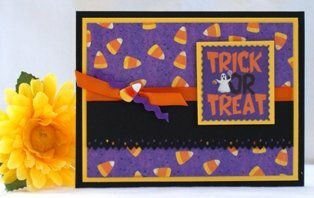 When making Halloween cards, you often use oranges, purples and greens and I used purple, yellow and black for my Halloween card idea. 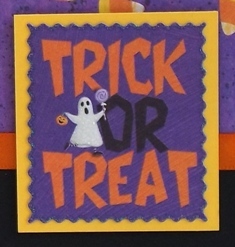 For many of my homemade card ideas, I often use craft punches and for this handmade Halloween card, I used one that had a zigzag pattern. It worked out nicely because the sentiment had a zigzag pattern as well. 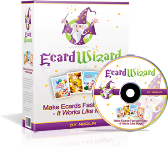 Halloween card designs to make a Halloween card are endless when you have ribbons, stickers and all kinds of embellishments you can use. 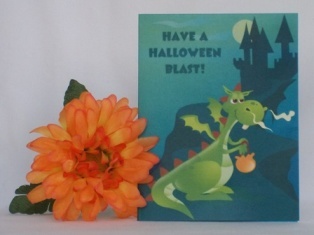 You can build your own Halloween card with a lot or a little bit of accents. I like to start with a little and if I think a card needs more, then I will slowly add additional embellishments. The trick or treat sentiment came from a pack of die-cut shapes so I was able to make lots of cards for Halloween with one pack. 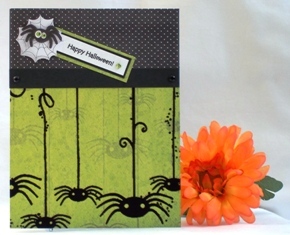 Making your own Halloween cards is fun because you can layer and mix and match the paper. For my homemade greeting card ideas, I like to use solid paper behind printed paper to create the border. 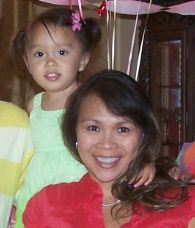 I also like to use contrasting colors so that each color is visible. For my paper card making ideas, I often buy embellishments when they are on sale and I found a pack of candy corn buttons on clearance last year so I swiped them up knowing that they would come in handy when I was ready to make Halloween cards. I had to cut the shank behind the button so that it was flat when I adhered it over the ribbon and rick rack. 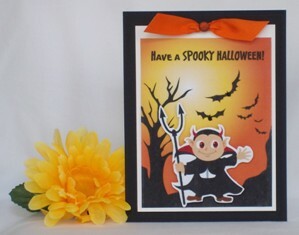 Most of my cardmaking ideas are versatile so you can use this design for not only Halloween greeting cards but cards for other occasions as well. So don't be afraid to build your own Halloween cards and add layers of paper along with embellishments when making homemade Halloween cards.